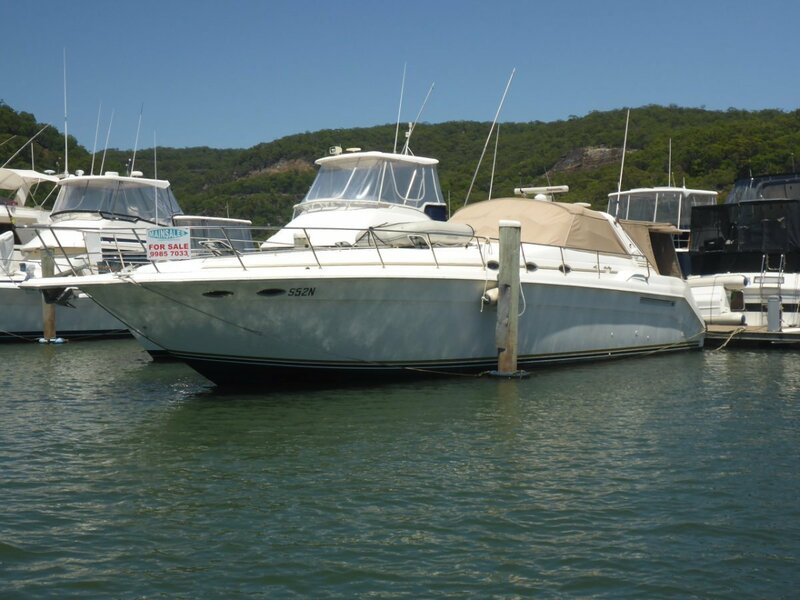 Just Listing this magnificent SEARAY 500 SUNDANCER. More elaborate details to follow shortly. Listed below is only a small fraction of the vast inventory. Absoulutely stunning, spacious galley area complete with cocktail blender, ice maker, coffee maker, microwave and front loader washing machine/dryer hidden away. 3 t. V's, Bose sound system, dvd and CD players. Yes - 3 separate units running the 3 separate zones. Yes - electric x 6 and high water alarm. Yes. Onboard fire supression system, 4 x handheld. Comprehensive Raymarine electronics including radar.